The Elm Analytics Numerus™ platform is the largest online database of automotive information. 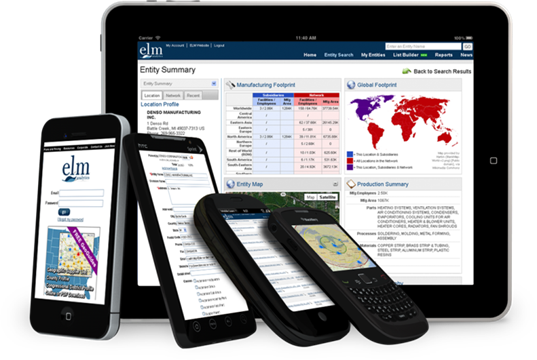 Elm Analytics LLC is a leading provider of automotive industry intelligence and data. Whether you are looking to source a part, process or material, or want to market to automotive industry manufacturers and service providers, you will find a rich, well-maintained database that can be easily searched with intuitive tools. Market intelligence platform providing access to profiles of more than 20,000 automotive manufacturers and suppliers worldwide.